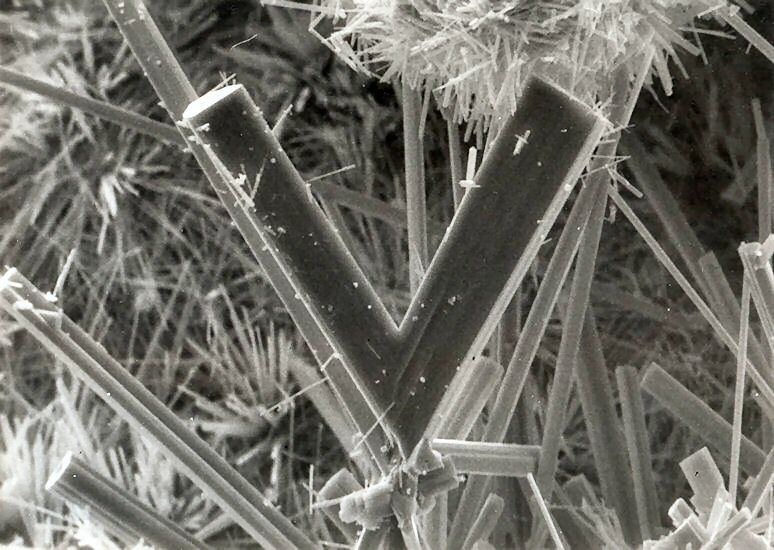 Comments: SEM image of jack-straw aggregate of perroudite. Dr J. Wüest, MHNG, 1986 from type material. Location: Cap Garonne, Le Pradet, Var, France. Scale: xls ~ 0.07 mm.